Caryl Phillips’ latest novel, based on the troubled life of the writer Jean Rhys, is a lush exploration of the costs of colonialism, the limited possibilities for non-conformist women, and egregious power imbalances between genders and races. Rhys’ life — she was born in the British colony of Dominica in 1890 and sent to school in England at 16 — is a fitting canvas for Phillips’ perennial themes of displacement, alienation and muddled identity. It’s easy to understand why Phillips — who was born in St. Kitts, grew up in Leeds, studied at Oxford, teaches at Yale, and lives in New York — is drawn to Rhys, an intriguingly complex, self-destructive individual who spent most of her life in England but felt at home nowhere. A View of the Empire at Sunset is not the first evidence of Rhys’ impact on Phillips: His last novel, The Lost Child, painted a nightmarish early childhood for Heathcliff as part of a haunting take on Emily Brontë’s Wuthering Heights — much as Rhys’ Wide Sargasso Sea, her extraordinary response to Charlotte Brontë’s Jane Eyre, imagined a powerful back-story for Rochester’s first wife, the madwoman in the attic. Phillips’ new novel is a mesmerizing, atmospheric story set in the waning years of the British Empire, following Queen Victoria’s death in 1901. In 65 short chapters written in a tight third person, Phillips follows his unsettled, perpetual outsider from her West Indies birthplace, where she was born Ella Gwendolen Rees Williams to a Welsh doctor and a white Creole mother from a land-owning family. Gwen, as she’s called here, lands uncomfortably in dank England, which she flees for a time to the war-ravaged Continent. The novel begins and ends in 1936, 30 years after she was sent away to school, and 30 years before she published Wide Sargasso Sea, which revived her sodden literary career. 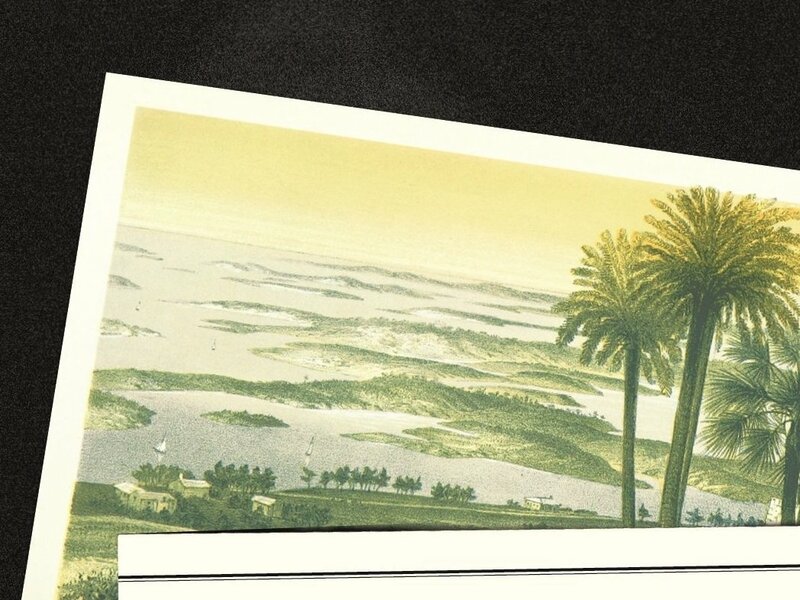 Returning in middle age to “her” Caribbean island, which “had both arranged and rearranged her,” the visit does little to assuage her lifelong homesickness. Phillips’ decision to focus on the three decades between 1906 and 1936 — well short of Rhys’ 1979 death — makes good sense. More questionable is his choice, in this consummately literary novel, to write about Rhys’ literary career only glancingly. He altogether elides her life-changing relationship with the writer Ford Madox Ford in Paris between the two World Wars — an affair and mentorship that gave birth to Rhys’ pen name and first publications (and admittedly, enough material for a separate novel). This omission is particularly puzzling given that writing saved Jean Rhys, who remains of interest precisely because she was able to channel her uneasy childhood, repeated disappointments in love, and miserable self-abasement and alcoholism into her fiction. Yet she, too, left out mention of her writing in her 1928 novel, Quartet, based on her relationship with Ford. Her 1930 novel, After Leaving Mr. Mackenzie, with its harsh semi-autobiographical portrait and underlying dramas with lovers and siblings, clearly informs Phillips’ narrative, although he never mentions it explicitly. It is incredible that, bleary with booze, Rhys was able to nail her situation with such devastating precision: “She was a female without the instinct of self-preservation,” Rhys wrote of her down-at-heels fictional alter-ego. Yet the very existence of her novels undercuts this self-lacerating observation, and more to the point, complicates Phillips’ portrait of Rhys. Rhys’ travails are painful and increasingly exacerbated by her bad behavior. She’s derided for her accent in drama school, trudges through cheap seaside towns as a traveling chorus girl, and is repeatedly forsaken by the wealthy lovers who pay her rent until she becomes too difficult. Her marriages bring scarcely more comfort.